Since different diseases and their associated pathogens became more resistant to the diverse drugs that have been synthesized or isolated from nature, certain ailments could be treated without generating side effects in current drugs. Cytotoxicity and cognitive and/or motor effects are consequences of the use of certain compounds that in its genealogy alter in a moderated way the treatment of the neurodegenerative diseases. Often, surgical interventions are an invasive alternative that determine whether the patient does or does not achieve the advances expected in reducing involuntary movements, such as Parkinson’s disease. Commercial and natural alternatives could help patients endure the psychological effects of movement and cognitive diseases. At the present time, L-Dopa is used, for instance, as a commercial drug for the treatment of Parkinson’s disease, since it can control the involuntary movements of the patient under a certain status. Although this nitrogen compound presents itself in low concentrations in some vegetables such as broad beans, porotos and ginkgo biloba, the continuous consumption of these foods does not assure that the abovementioned neurodegenerative disease is will recede, nor does it mean that its side effects will decrease. Therefore, the search for new alternatives that generate mitigation and a better quality of life for patients requires us to check the last few contributions in studies on the motor/mental dysfunctions by using a new and novel medical tool that implies a better pharmacological potential without being discarded from the organism via low solubility in the blood; this potential is known as nanomedicine. Concerning its molecular structure, many drugs have great potential as chemical-therapeutic agents, however, due to its low polarity, these compounds are eliminated from the organism without crossing the blood-brain barrier (BBB), which prevents the entrance of many psychotropic drugs. In this sense, from the use of cannabinoids, flavonoids and nanomedicine, many authors have impelled their research in reducing the size of the “bundle” that contains the active compound from a medicine, diminishing its concentration and the side effects that accompany the drugs that are administered orally or injected. Even more so, the formation of a supramolecular framework from natural polymers – either chitosan or synthetic molecules such as poly--caprolactone (PCL) – has allowed the formation of nanoparticles with interesting physical-chemical properties, enables the delivery of the active compound in the appropriate site during a controlled release. In this book, the authors compile a number of diverse contributions focused on the isolation, pharmacological evaluation and formulation of the carrier/drug system and generate, for the case of the nanoparticles, the same pharmacological effects in the people who endure CNS diseases. The advances and novel molecular tools to relieve the patient of the undesirable effects of the current drugs in the treatment of neurodegenerative diseases are mentioned and discussed. These scientific achievements are the tip of the iceberg in terms of health improvement for the population due to these limiting diseases. 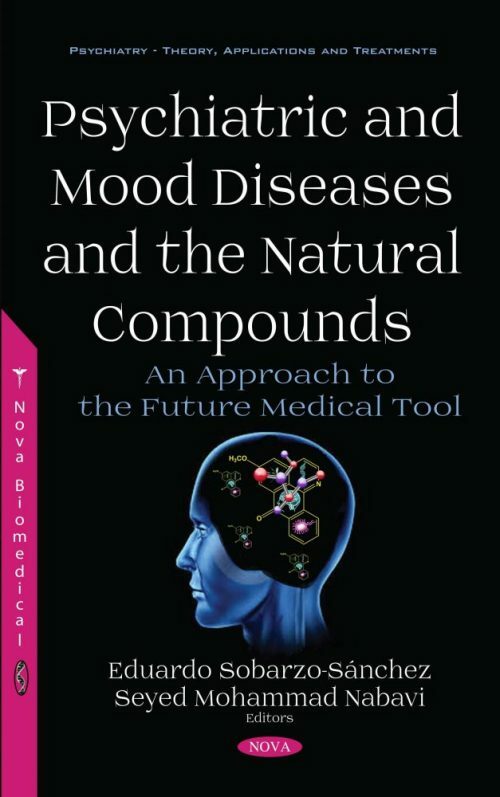 This book can be read by chemistry students in high school, undergraduate student in chemistry and pharmacy, and experts-researchers in the field of natural products and public health.